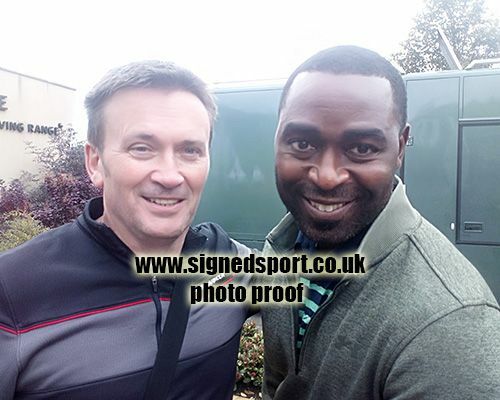 Andy Cole Manchester Utd & England signed 10x8 inch photo. 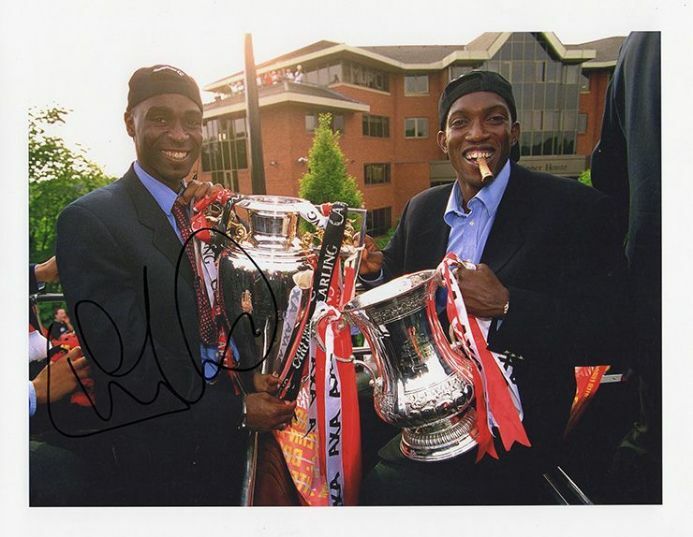 Andy Cole, Manchester Utd & England, signed 10x8 inch photo. 10x8 inch colour photo personally hand-signed in black sharpie pen by former Manchester United striker, Andy Cole. Cole played 195 games for Man Utd from 1995-2001, scoring 93 goals. He was capped 15 times for England.